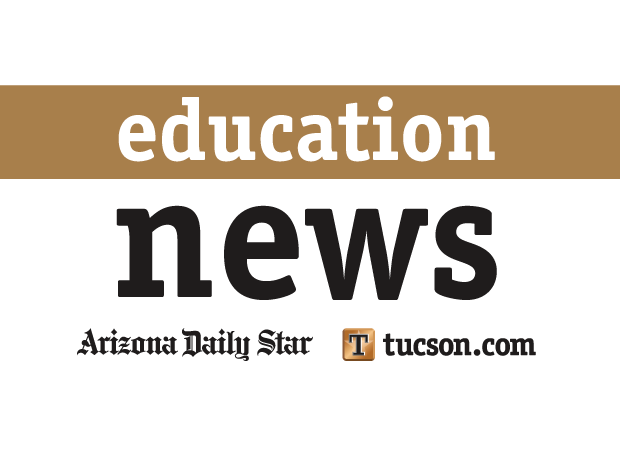 Seven Southern Arizona schools received nearly $15,000 in grants to support STEEAM education programs, courtesy of Rosemont Copper’s Hudbay Arizona Business Unit. Canyon Del Oro High, Richardson Elementary, Flowing Wells High, Butterfield Elementary, Billy Lane Lauffer Middle, Apollo Middle and Corona Foothills Middle are the seven Tucson schools receiving grants to expand instruction in the areas of science, technology, engineering, environment, agriculture and math education. The schools will use the grants to send students to math competitions, introduce new STEM curriculum and purchase technologies including 3D printers and alternative-energy prototypes. A group of 120 Pima JTED students learned from local photographers in a master class earlier this month. Tom Spitz, Steven Meckler, Melissa J. Holland and Martha Lochert were among the local professionals who taught. The masterclass took place at several downtown landmarks including the Stillwell House, the Carriage House and the AC Hotel. Participating photographers Meckler and Tim Fuller also invited students into their studios to learn. Canyon Del Oro High School will host an info night for prospective open-enrollment students on Wednesday, Jan. 23, at 6 p.m. in the school auditorium. Students and parents can learn more about CDO’s International Baccalaureate, fine arts, career and technical education and gifted programs. The school is at 25 W. Calle Concordia. TUSD will offer eighth-graders tips about transitioning to high school and health-care services at its High School and Health Fair Expo on Saturday, Jan. 26. Representatives from TUSD schools will be present to help educate students about best high school practices, career and technical education and fine-arts offerings in the district. Students will also have the opportunity to apply for TUSD high schools at the expo. Free eye and dental screenings, haircuts, socks and nutritional tips and demonstrations will also be offered, according to a TUSD press release. The expo starts at 10 a.m. at Rincon/University High School, 421 N. Arcadia Ave. The Amphitheater and Sunnyside school districts will each host job fairs on Saturday, Jan. 26. The Amphi event is from 8:30 a.m. to 12:30 p.m. at the Wetmore Center, 701 W. Wetmore Road. Register for the fair online at hrjobfair.amphi.com prior to attending. The Sunnyside job fair is from 8 to 11 a.m. at Sunnyside High, 1725 E. Bilby Road. The district is hiring certified, classified, administrative and professional non-teaching personnel. Saint Ambrose Catholic School, a private school serving grades preschool through eighth, will host an open house for prospective students and parents on Sunday, Jan. 27. The open house, from 9:30 a.m. to 1 p.m., will include classroom tours and presentations about the school’s programming. The Saint Ambrose campus is at 300 S. Tucson Blvd. 2 Tucson students will have chance to get leadership training in D.C.
Bank of America will select two Tucson high school students to attend its week-long Student Leader program in Washington, D.C., this summer. Students must be high school juniors or seniors to qualify. The scholarship winners will work a full-time, eight-week paid internship at a local nonprofit upon returning from the leadership summit. The summit runs from July 8 to July 13. Apply online at bankofamerica.com/studentleaders by Feb. 1 to be considered for this year’s scholarship.